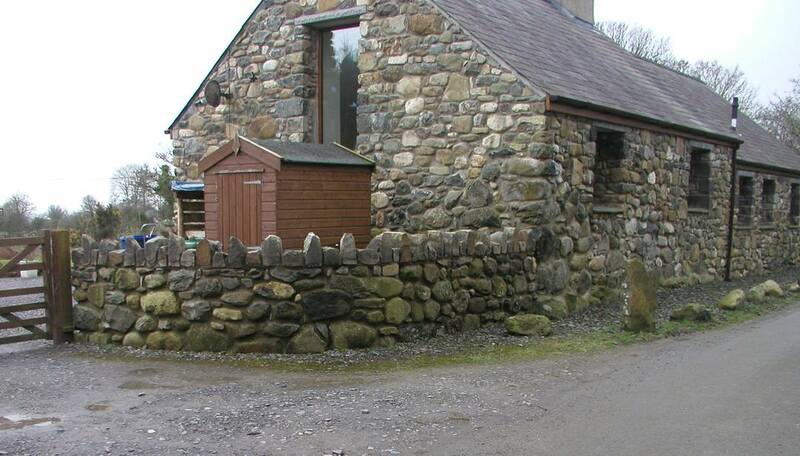 The term ‘barn conversion’ is probably not the best for North Wales since usually we aren’t converting barns as they have in England so much as rebuilding stone-built agricultural outbuildings. Stone was used here rather than timber and wattle & daub simply because it was readily available, lying around in the fields. Technically they would be described as rubble built since the stones were undressed. Often the walls would consist of an inner and outer skin pieced together from rocks with the gap between filled with smaller stones and rammed sub-soil. Not very thermally efficient or damp-proof! Converting these, often derelict or semi-derelict, buildings into comfortable, efficient modern dwellings is not a quick job. From starting work to handover often is a twelve month project. Unlike many builders who try to juggle clients and mysteriously disappear for days or even weeks during a job, we believe in fully committing to our client. From the day we start until the day we finish we keep on site. 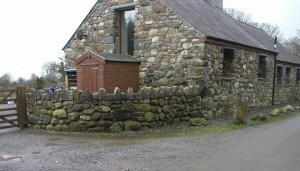 A conversion project from an old stone building in Gwynedd doesn’t just involve the normal building trades such as bricklayers, joiners, electricians and plumbers but also specialist stone masons and slate roofers. Our team draws on experienced time-served trades people who we personally know are capable of meeting our high standards and ensuring we have happy, satisfied clients who will recommend us. 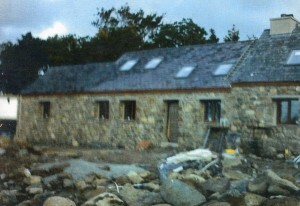 We undertake barn conversion in Gwynedd, Anglesey and Llyn Peninsula including Criccieth, Pwllheli, Abersoch, Aberdaron, Nefyn etc.